This was supposed to be a sympathy card. I really thought it would make a nice sympathy card. But I think it is too cheery...So I decided it would be better suited as a birthday card. I am back to outlining again. It almost adds another layer to those limited layer cards. That ribbon is part of the offerings in the Sale-A-Bration brochure!! ♥ it! I've gotten pretty good at getting the 2 layers of the flower lined up without really trying! I need to use this stamp set more. So, do I need to add a little bit of stem to this flower? First up, I recently started a journal for myself. I wanted something pretty and this is what evolved. I still have a stash of theses spiral bound pads from the local print shop that are about 5x7½, perfect journal size! We use a wood stove to heat our house, so I had no problem finding birch back to play with, and thought I would try cutting out some fun shapes. This ♥ this butterfly!!! I used a 3" length of the Lucky Limeade Organza ribbon to make the antenna, and a Lucky Limeade brad for the head, then some rhinestones for the body. Isn't it fun?! I also used a length of the Dotted Ribbon punched Pool Party and stitched it with more of the organza. Also used the organza to wrap one of the Labels Framelits and then made a pretty double bow with the butterfly brad at the knot. All kinds if fun uses for the Ribbon and Brad pack! And that big Old Olive button? You can get the Brights Button pack free during SAB also!! I purposely left a sentiment off of this card so I can use it for anything :) The First Edition hearts are actually leftovers from my Hearts & Snowflakes banner from a few days ago. The bottom Poppy Parade piece is texturized with the Lots of Love Letterpress Plate. I pulled out the Watercolor Wonder Crayons and an Aquapainter to color the large heart. On to the next stop, Yapha's blog where she will dazzle us with her projects using Sprinkled Expressions! 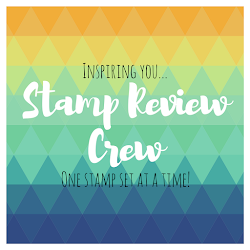 Wow, these are pretty deep thoughts for a stampin blog! Better get to the Happy!! You can almost hear the wind softly blowing, can't you. This would make a great masculine card for any occasion, not just a sympathy card. I wish the Thanks for Caring set had not retired. It has such a wonderful sentiment, very timeless. If you have one, you have quite a little treasure in your stash! This was my first attempt at a swap with Elementary Elegance but it didn't feel quite right. I do like how the small elements fit on the Jewelry Tag punch. 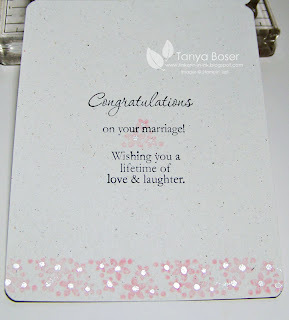 I used some Cherry Cobbler embossing powder and then sponged over it to add more depth. 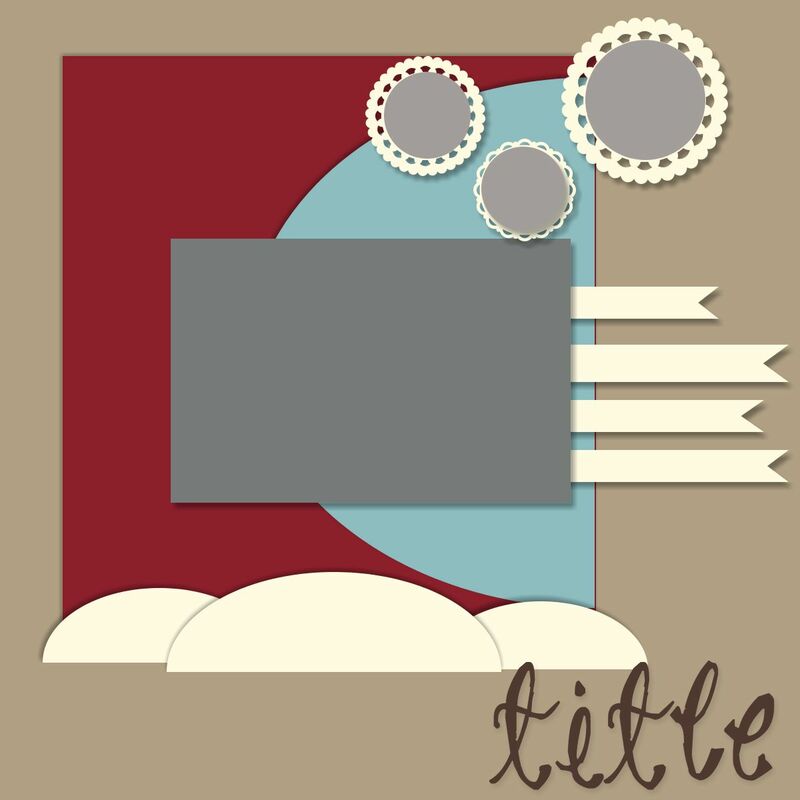 I did stamp the little elements first and then punched them out. I did a little bit of fussy cutting around the main image and the sentiment is also embossed. I hope to find just the right person to give this to! Don't forget, Sale-A-Bration starts tomorrow and you can ear this stamp set with a $50 purchase (before shipping and tax) ! I saw some cute Valentine's banners today while pottering around on my newest obsession, Pinterest. You girls have created a monster!! You all know who I mean. 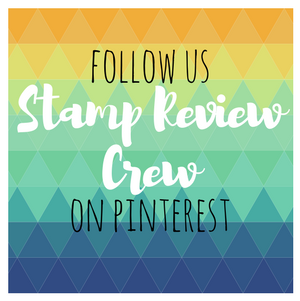 My family of stampin friends is a wonderful source of joy....and new ways to waste time, lol! Seriously though, if you haven't tried Pinterest yet, you need to go check it out. It is like having a favorites button for the whole internet!! Love it! Now, I realize this pic is a little yellow. Sorry, couldn't get that fixed with my humble Photoshop skills. But, I thought I would share with you how I made this beauty. It is NOT Glimmer Paper. It is Poppy Parade with Romance Red glitter (retired) applied with Versamark and Heat & Stick powder on both sides!! This was the first time I used the Heat Stick powder with a satisfactory result. I think I was trying to do too fine a detail work before, but it works fab like this! This is simply the First Edition DSP die cut with two of the Heart Framelits. Fun way to use up some scraps and I just can't get enough of this paper :) It is dangling on some Cherry Cobbler Baker's Twine and held on the string with a Mini Clothespin. This is my favorite part of this little banner. I used some of the brown packing paper that comes in my shipments from SU and die cut it with the biggest Heart Framelit. Them I stamped it up and outlined it! I am surprised to say that I never really considered February to be a popular wedding month, but I just now realized that I know 3 family members who were married in February . Wait, make that 4! I guess Valentine's Day trumps frigid weather and many inches, if not feet, of snow in Minnesota, lol! I was on a Letterpress kick again. They add such a touch of elegance to a card. Who van resist the word love in so many different fonts? The Blossom punch makes a very nice fluffy flower with the Waffle paper, which is just gorgeous!! How about the flowers spilling down the side of the cake? Yummy! and the layers of the cake are highlighted with the Clear Coat Accent ink. Why oh why did I wait so long to get that stuff! It is amazing! This was a really hard card to photograph. I tried 3 different methods, and still the colors seem washed out and off. In real life, it is quite lovely. Even the inside of the card got some bling! I had to add shimmery centers to all of the flowers. Now I need to make a pile of anniversary cards! The new Tea Shoppe set is so scrumptious! And irresistible to me, since I drink tea all day everyday! There is just something so soothing and centering about making a cup of tea and enjoying it during the hussle bussle of life. I know it is hard to see, but I used the Fancy Fans Letterpress Plate to add texture to the Baja Breeze layer of the card. Looks great in real life of course :) And more of the Twitterpated DSP. I didn't think I was going to like it, I only got it because it came in a preorder bundle at a discount (one of the many reasons to be a demonstrator!) and didn't realize I had changed my mind until I had used it on 3 cards! I seem to be a dimensionals kind of gal lately. All kinds of poppin action going on here :) Don't you love this DSP?! So fresh and fun! Inside the card, I could not resist adding a little tea cup and accenting it with dots of Riding Hood Red marker. 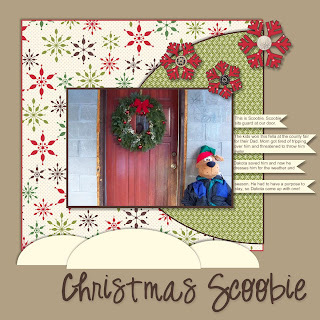 This was another of my swap cards that I made before Christmas, and I am trickling them out over this month. Who is ready for a little support?! I love this stamp set, and these 2 stamps in particular! I could not resist making a shaped card with the Labels Framelits. I had to some more texture to the River Rock layer to make it work with this card. I also inked the emossing to set it off more. The Coral card base is also stamped with the corset image. I made a few extras of this one to take to work to sell, but I wonder if that is the right crowd, lol! This is the last of the Blog Hop projects. I did add a little something more on this post. I didn't have any nuggets in the house when I made this project originally so I didn't have anything to fill this little box with! After I got some nuggets, I was able to add the It's a Wrap Holidays stamped address labels to some nuggets and toss a bunch in the box. I only decorated the top 3. I have had too many people tell me they were too pretty to eat when I gave them away. Not the goal!! Eat the chocolate, people! You do have to cut your white paper to size and score it before die cutting the doily, then I just put the doily on a piece of scrap paper and quickly zig-zag my liquid adhesive over the back of it. Then I glue it to the inside of the box. Love that you can use just portions on the doily , like the Early Espresso piece here. I spritzed it with the Blushing Bride Smooch Spritz. The box is Spritzed with the Vanilla Smooch Spritz. Loving this stuff again! OK, now I can stop worrying about getting the Blog Hop stuff better explained. Good thing too, it is almost time for the next hop!! 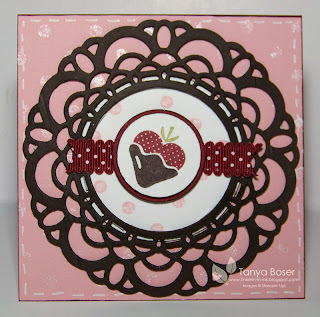 This one has the center of the doily cut out and the doily is popped up. The cardstock base is stamped with Distressed Dots BG with Frost White Shimmer paint, then the Whisper White 2½" circle is stamped with Distressed Dots BG in Blushing Bride. I have been trying to use up my scraps of Cherry Cobbler.. I made 150 matchbox books for a wedding last spring and have a TON of scraps of Cherry Cobbler about 2½" wide.... good for punches! That is what I matted the Strawberry with. Can you see the shimmer pain polka dots a little better here? Shimmer Paint is still one of my favorite things to add a little bling with. I can tell you I have already gone through at least 1½ bottles of each color! It might even be time to order another of the Frost White and Champagne Mist. You can also see a little better that the doily is popped up on dimensionals. I cut them really little to fit behind it. I was a swapping maniac right before Christmas, and this is my Sale-A-Bration swap. I am so excited that SAB starts soon! SO many yummy new things, that you can earn for free! I am not really a girlie-girl, but I think I am channeling my inner girl with this mini! The new year has begun and it is time to get back to our Saturday Scrapbook Challenges over at StampinAddicts! The first weekend of the month is my turn to come up with a sketch challenge, and here it is! Lots of fun shapes and a definite winter feel. And here is a page I made using the sketch. My kids won this great big Scoobie Do at the County Fair a couple years ago, and gave it to their Dad. I got tired of tripping over him and sent him out to the garbage cans to be thrown away. The kids threw such a fuss, I had to tell them they could keep him if they found a use for him. Well, Dakota went and found a chair for him to sit in, and started dressing him for the weather and the season and made him a kind of mascot for the front door..... I wonder how many people have a Scoobie guarding their front door! 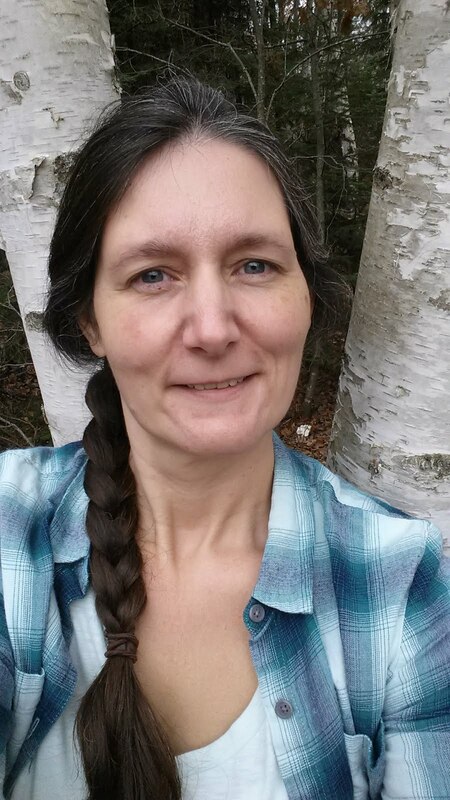 In this picture, I was actually testing spots for our family picture, the one I posted on Christmas day. Let's see what you all come up with! Check out the challenge here.